We are well aware how the the renowned Cannabis plant is misunderstood. It’s only in recent years that this plant has actually come within the intellectual perspective of the average householder, and that is mainly due to the Internet. A vast majority of the human population, who showed no interest in any subject matter other than those that directly affected their daily lives, suddenly started showing interest in a lot of topics that surfaced during their web browsing sessions! The cannabis plant, cannabis uses and particularly medicinal marijuana may be such a topic. A lot of information, including serious research on this healing herb has reached the desktops of millions of net users in the last decade. 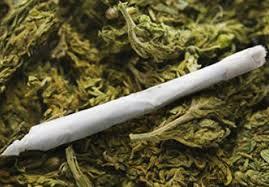 Now, a lot of people can comfortably discuss and debate the positive and negative implications of using marijuana. We are learning more and more about medical cannabis and how cannabis laws are affecting our daily lives. So what are the Positive Uses of Cannabis for your Health? So there has to be some negative uses – Right? The negative use of Cannabis in lethal drugs was probably a more widely known fact before the information highway opened the doors of research. With the common man being able to access and read about any topic under the Sun, the lesser known facts of the Cannabis plant have now come to light! Traditionally, people have come to know that the Cannabis plant, containing some intoxicating agents, have been used over the years in other drugs such as the marijuana, hashish, and LSD. These chemical agents have the ability to swing the human brain from acute elation (high) to acute depression (low), thereby causing permanently debilitating effects on the human brain. It is an established fact that the some long-term users of lethal drugs have suffered from irreversible brain damages. Cannabis should not be lumped together with drugs such cocaine and meth. In light of these findings, however, most law enforcement and their agencies have banned these drugs and very serious punishment is the consequence of those possessing and using these drugs. The Cannabis plant or herb is now more famous for its many beneficial qualities and its contribution to the medicinal world. Many deadly, terminal diseases are being treated with this wondrous innocuous marijuana plant. In the industrial world, the use and application of this plant have been historically known. Before the twentieth century, this plant was mainly traded for its industrial applications. Today, this ancient healer is turning out to be man’s best and not the enemy!